Turn your living room into a conference vendors’ hall! Whether it’s the travel time, the expense, or the poor weather, there are many reasons why attending a conference in February is not an option. But what if you could stay in the comfort of your own home, save your time and money, and still hear inspirational speakers and shop at the best homeschooling vendors? This conference has everything a traditional conference has: networking with other homeschoolers, speakers, vendor hall, used book sale, and more…all for free! HSLDA’s Exceptional Needs Consultant explores why Dyslexia is one of the most misunderstood learning abilities and provides tips for parents to support their incredible children. HSLDA’s President discusses how to effectively help your children understand the importance of politics while building on your family values. Whatever stage you’re in, get the right tools to help organize your child’s educational portfolio with HSLDA’s Marketing & Communications Director. Discover the advantages of a Gap year with CCHE’s Media Relations Specialist and how to determine if this is the right fit for your teen. 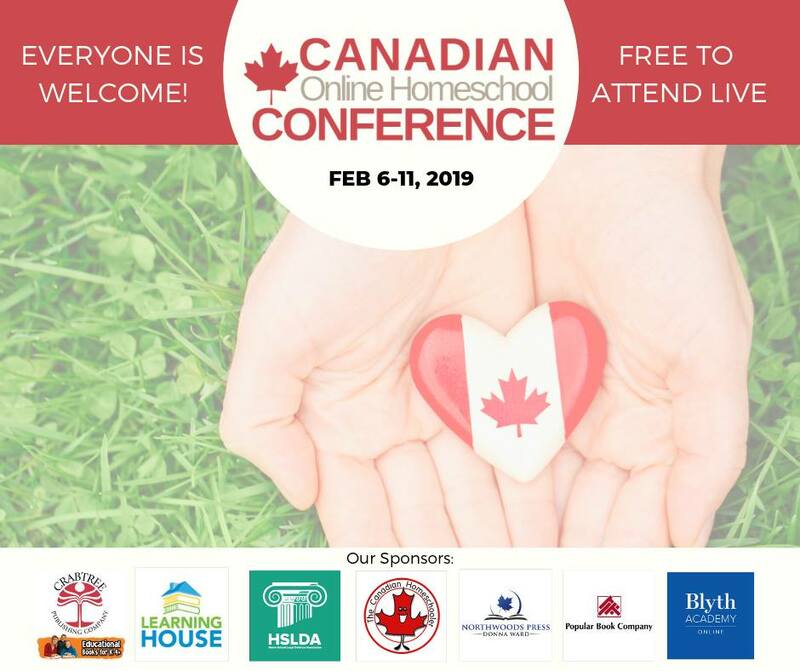 You can register at www.canadianhomeschoolconference.com* or sign up for the all-access 24-hour free pass until February 12, 2019. Lifetime access is $35.